An indoor outdoor rug is a versatile carpet option that is suitable, durable and eye-appealing to be placed either inside a home or to be used outside on a patio deck or porch. Generally made from stain resistant fabrics, all you need to keep it clean is to wash it down with a hose. Durable, soft and comfortable to walk on, indoor outdoor rugs can be found in a variety of patterns and designs suitable for both outdoor and indoor use. When it comes to selecting the right piece for your space, indoor outdoor rugs Australia designers recommend to look for something that has both – an appealing design and function to ensure the perfect combination of durability and aesthetic appeal. Follow our tips to select the right rug to suit your design preferences and specific needs. When shopping for indoor outdoor rugs Australia wide, you will come across a variety of models with different features and designs. Nevertheless, to be able to withstand heavy traffic, it is important to choose a rug that will keep its shape and still look good after being used for a couple of outdoor parties or many people entering and exiting your home. Flat weave rugs are designed to shed less and that contributes to less wear. Plus, their tight construction provides both durability and stability underfoot. If you are looking for a rug to complement your indoor furniture or to place it by the poolside, choosing colours and patterns that blend with your existing décor will help ensure a unique look and attractive room design. 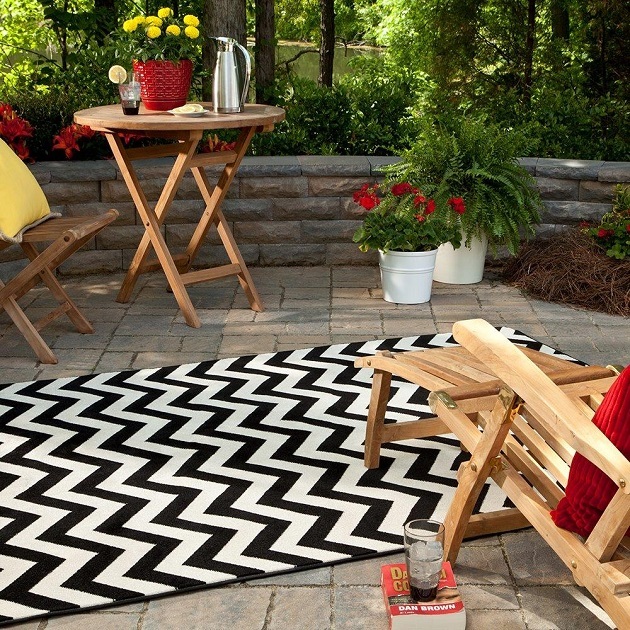 Rugs with weather-resistant features are ideal if you are planning to use them outside year-round. To prevent mould and mildew buildup, look for one with a backing that prevents water from pooling. A rug that features a UV-resistant coating is also a great option as this feature will protect it from fading when exposed to excessive heat and sun. When it comes to the ideal size, it is important to choose dimensions that will complement your space and not overpower your design scheme. For example, circular rugs can be a great choice to place between two benches or beneath small tables on your patio, while rectangular models help tie together furniture pieces. It is true that dirt buildup on indoor outdoor rugs is unavoidable. But the good news is that there are many design options that allow for convenient rug cleaning and maintenance. Look for rugs with stain-resistant features which will resist the elements and can be easily hosed down to wash away debris.